With over 70 years in the window and door industry, Atrium strives to be the choice of homeowners. They offer only high quality and great looking windows and doors. Just about every window style imaginable is available in their many lines. All of their windows and doors come with an exceptional warranty. 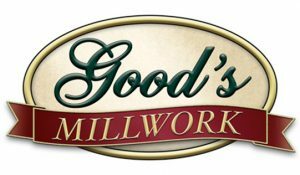 If you need a custom wood entry door for your home, look no further than Good’s. Crafted from fine hardwoods in the Amish tradition these custom doors are simply beautiful. Unique wood doors for any home or business. Their mahogany and knotty alder wood doors can only be described as breathtaking. The multiple glass options include decorative and beveled glass. These doors are available raw or prefinished. 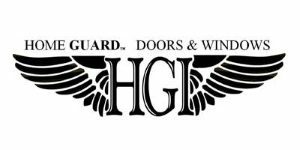 Home Guard Doors & Windows offers a wide line of entry doors, security doors, and steel and aluminum storm doors in addition to their replacement windows. Their double hung windows come in a variety of glass options including highly energy efficient windows and internal blinds. If you want to increase your home’s curb appeal you can’t go wrong with Home Guard’s superior product line. Hy-Lite is a division of U.S. Block Window Company and offers all types of decorative windows. If you have a window opening that needs to offer privacy while still letting in natural light, this is an excellent option. If it is new construction or replacement windows, you should consider Lincoln Windows. All their windows and patio doors include at least double strength energy efficient glass. Their wide selection of products for both replacement windows and new construction all increase the home’s energy efficiency. When you’re looking for wood or vinyl windows and doors, Quaker has an option for your new construction or replacement needs. This family owned and operated business started back in 1949, and not only are their windows and doors manufactured in the US, but all the parts used to build your custom windows are from US manufacturers. For a custom wood door and a great way to see what your door will look like visit Simpson Door’s site. Their motto is Any Door. Any Species. You can even upload a photo of your home to see what the door will really look like on your home before you buy. Simpson doors also come with a long history of over 100 years manufacturing entry doors. Builders and remodelers turn to ThermaTru for all types of entry doors. They are the leading manufacturer of fiberglass entry doors. Fiber-Classic® is their wood grained fiberglass entry door that gives the beautiful look of wood with the energy efficiency of a fiberglass door. ThermaTru, the most recognized door company in the nation. There’s no better way to let in natural light or create better airflow in a room than by adding a skylight. Velux’s line of skylights can be opened via solar power, electric, or manually. If you’re just looking for light, choose a fixed skylight. When you need to go through an attic space but want natural light, consider their sun tunnels, also known as solar tubes.